Spending a romantic getaway with your partner has never been more sweet! 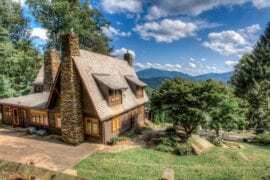 Bittersweet Cottage is wonderfully located just five miles away from Downtown Asheville. As a result, you’ll get the perfect amount of privacy while still being close enough to everything the town has to offer. 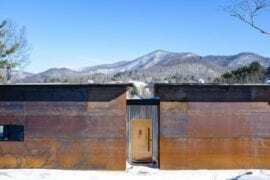 For $250/night, this retreat features a waterfall next to a personal hot tub, a koi pond, and beautiful views of both the mountains and the city. 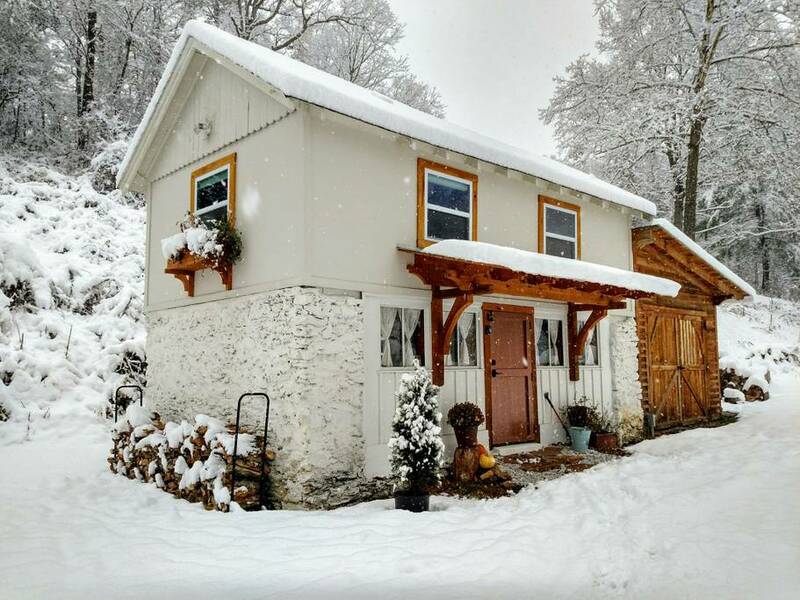 If you and your partner are looking for something stylish and romantic airbnbs in Asheville without breaking the bank, consider the Cabin-Esque Guesthouse! 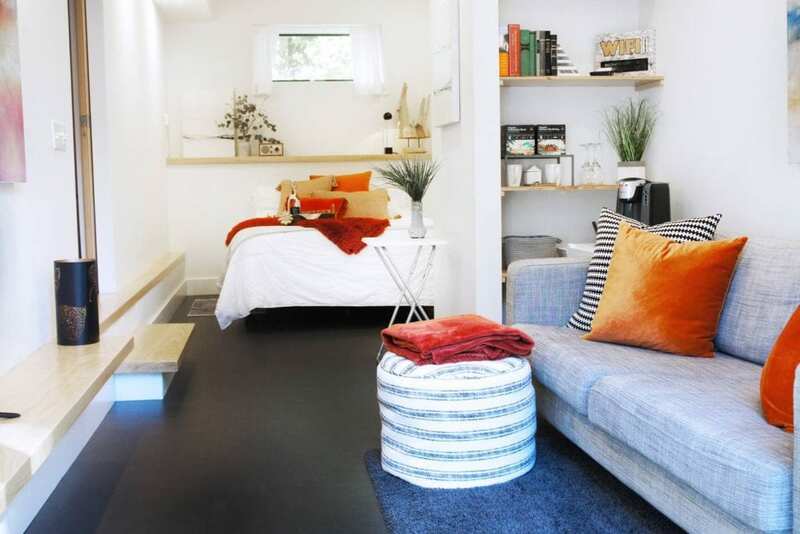 For only $60/night, you’ll experience the luxurious relaxation in this chic and vibrant space. On top of that, you’ll only be a nine minute drive away from all the downtown action. So spend your days at the local shops and take an afternoon hike. After that, grab some dinner at a brewery, and enjoy your nights by the fire pit. 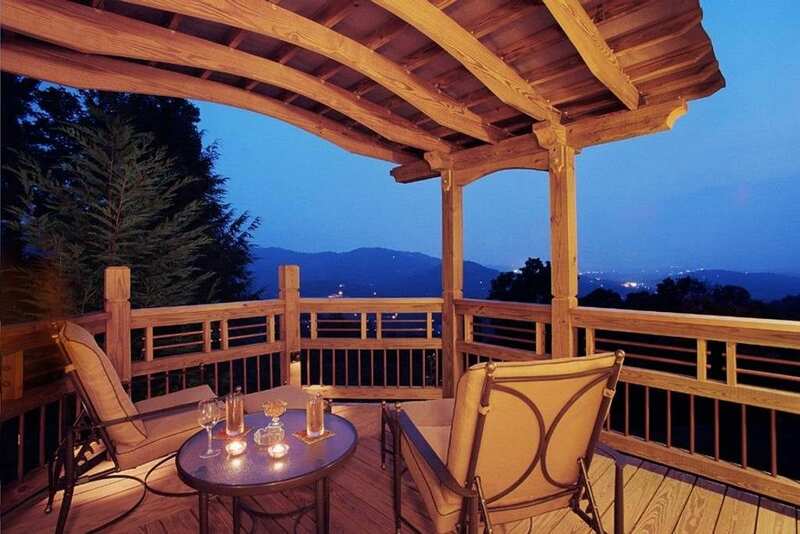 What can be more romantic than the Blue Ridge Mountains just outside your door? 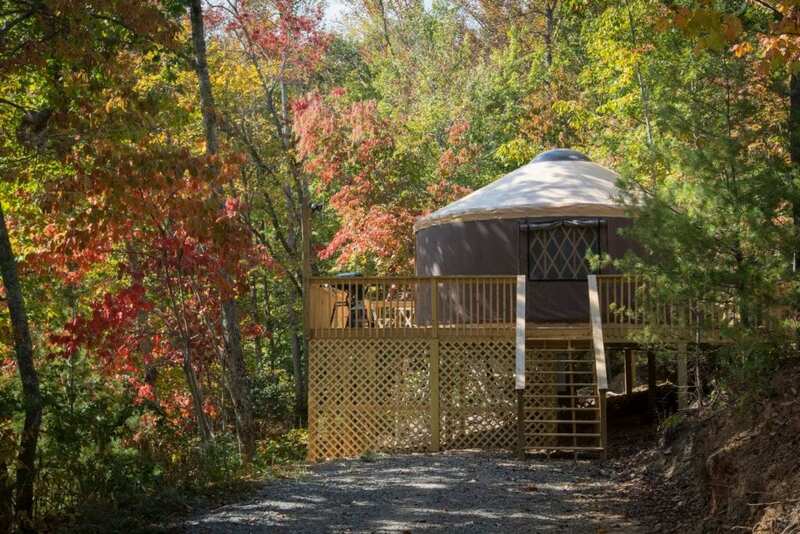 Maybe cozying up next to your loved one in this cozy yurt! 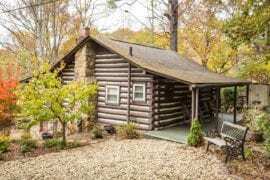 Just fifteen minutes outside of downtown, you’ll get a wistful, intimate experience with nature for $130/night. 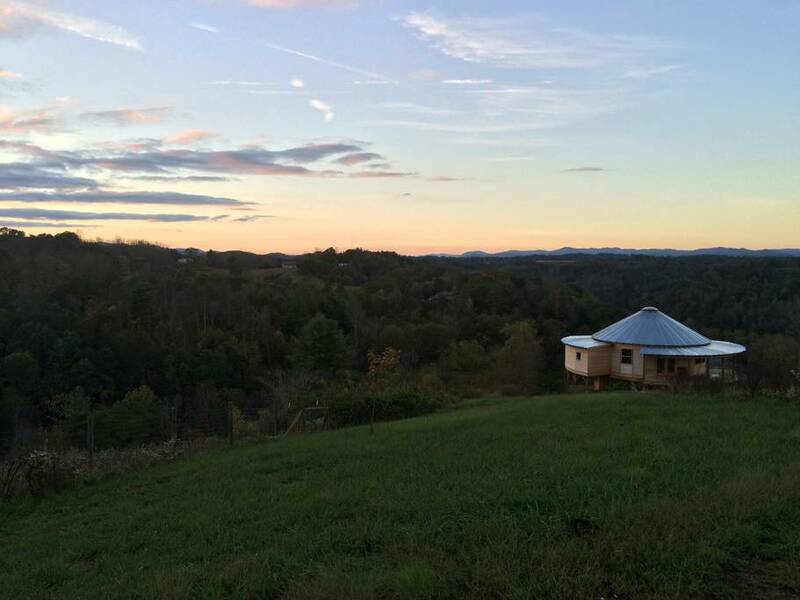 Because of its boho style, this one-of-a-kind property sets itself apart from the other romantic airbnbs in Asheville. 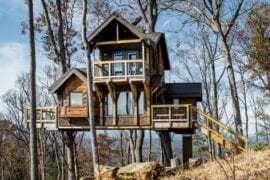 Elevate your heart beat in this dreamy, mountain getaway. Going for a stroll around town with your betrothed isn’t just a thing of the past! 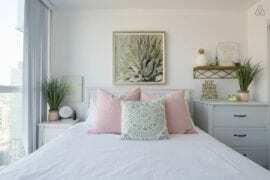 Because this modernly romantic guest loft is so close to downtown, you’ll be able to amorously walk hand in hand to your dinner reservations or among the charming neighborhood of Montford. Enjoy the clean, bright colors and original artwork for just $98/night. 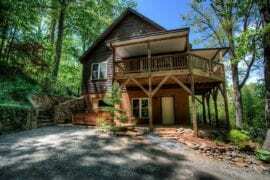 You’ll feel the butterflies like the first time you met at this romantic round retreat! 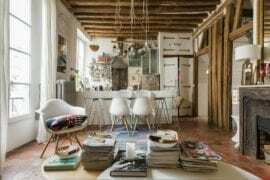 Due to its dizzyingly tall ceilings with its skylight and the whimsical, panoramic views of the mountains and nearby river, your hearts are sure to swoon. 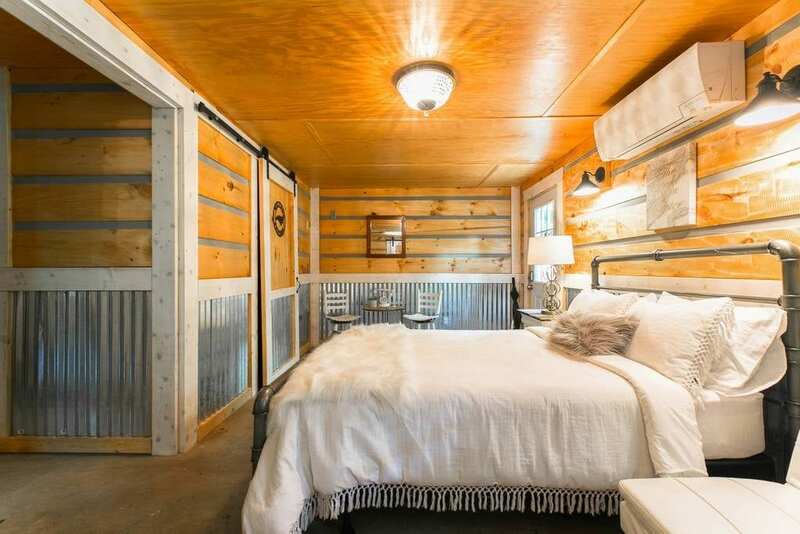 For $102/night, you’ll enjoy the privacy of nature alongside your better half. Antiquing with your partner is a time-honored tradition. 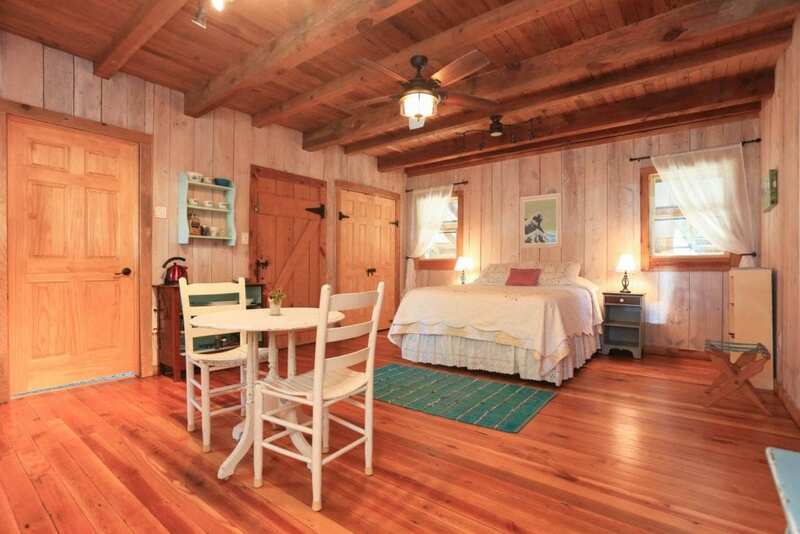 And this charming, one room cabin is just outside of the Biltmore Antiques district! For only $79/night, snuggle up with your honey on the couch or take the ten minute trip into town for a romantic dinner. What could make spending your first night at the Suite at Bittersweet better? How about a complimentary breakfast for the next morning? As a thank you from your host, the kitchen is stocked with eggs, juice, fruit, muffins, coffee and tea. So you can spend your morning relaxing on the deck enjoying the beautiful vista with your sweetheart. 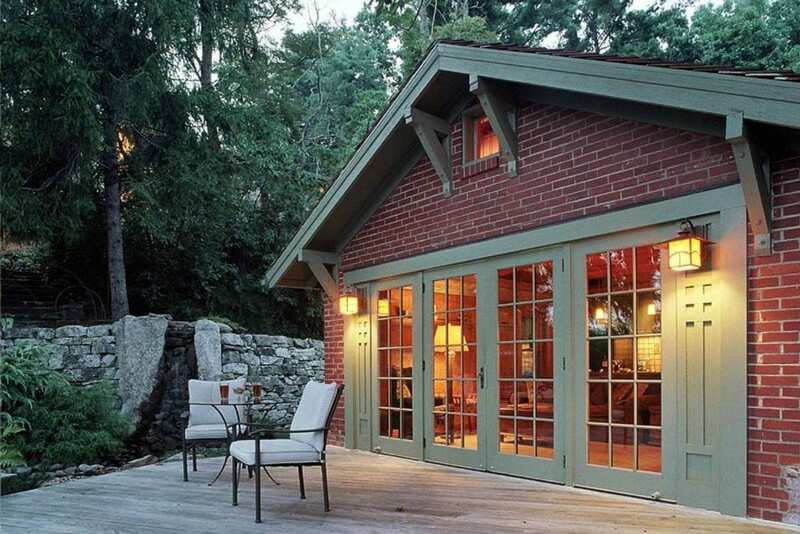 Enjoy this romantic cottage for $210/night! Living out your Jane Austen fantasies reaches a whole new level at Gashes Fluss Haus. This historic and refurbished coach house will help the Mr. Darcy to your Lizzie Bennett experience their iconic, pastoral romance for just $79! In the colder months, warm up on the couch next to the woodburning stove. Or lazily stroll across the footbridge over the creek in the warmer months. 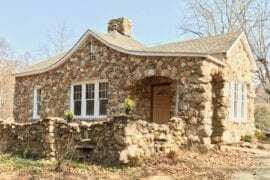 Fairy tales really do come true at America’s Smallest Castle! Tucked away in the woods and floating in the trees, this Tree Castle is sure to ignite your childhood daydreams and spark them into reality for $450/night. With its one-of-a-kind architecture, the tree branches are an integral part of this fantasy space. 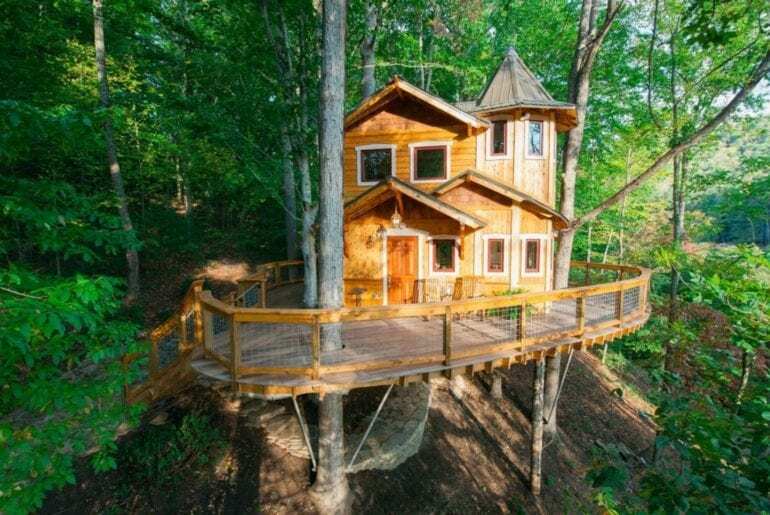 On top of that, you’ll even have your own Rapunzel tower with panoramic views of the Blue Ridge Mountains. Comme c’est magique!